Difference Between Coal and Charcoal: How they are different? Coal and Charcoal are both forms of carbon. However, how they are produced differentiates them from each other. If you want to know the difference between coal and charcoal, you are just at the right spot to know. In this article, we will be discussing the major differences between these two and also tell you which is better. Coal doesn’t need to be produced since it is a natural mineral and occurs naturally while forming under the crust of the earth. According to the organic theory, coal is produced after the decay of animals and plants remains over the course of thousands of years when they are exposed to heat. The formation of Coal is according to the organic theory which is widely accepted in Geology and Engineering. The theory states that the hydrocarbons are produced over the course of thousands of years when plants and animals remains are exposed to extremely high temperatures. Coal is used in the generation of electricity in many areas of the World. It is also used in plants where steel and cement are being manufactured. 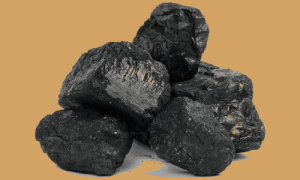 Steam Coal is the type of coal used in power plants for electricity generation. It is used to power up the turbines during the power generation process. On the other hand, Charcoal might be another natural form of carbon but it has to be produced through a process. For preparing charcoal, either the animal matter or wood is burned in the presence of very low oxygen levels. It is burned until it turns into the ash and then the fire is extinguished. Charcoal is the powdered form of carbon and when it is made, it is 25% of the original material. The preparation procedure of this pure form of Carbon takes a lot of time. This time sometimes even mean days or very rarely months in some cases. The volatile compounds like tar, methane, water, and hydrogen get burned in the process. We get a powdered material at the end of this process and so we finally get charcoal out of it. Just like Coal, this material also has many uses and we are now going to tell you those. Charcoal has the ability to absorb toxins from the gases. It used in making gas masks since it would absorb the toxins. 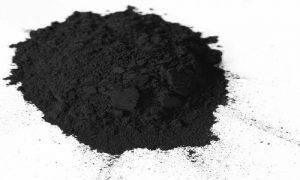 Charcoal has a wide variety of health applications in its activated form. This pure form also has its use in the production of cosmetics. It is used on teeth whitening and cholesterol-reducing products. Coal is present naturally but charcoal has to be produced. Charcoal is produced by heating animal matter while coal already exists in that form. Coal has large-scale industrial application while charcoal is used on a comparatively smaller scale. So these were some of the major differences between Coal and Charcoal.